Given the fact this place is almost in the middle of nowhere, I would say that it is quite good. The host is very helpful. Nice quiet location with a very friendly host. Cabin was clean and comfortable. very little. the owner did email me telling me about the lack of facilities, unfortunately I was travelling and did not get it until after I got home. 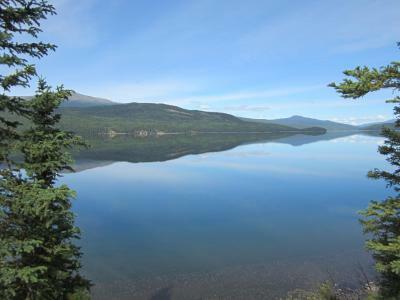 the campground has an outstanding location, beautifylly placed on Dease Lake shores. 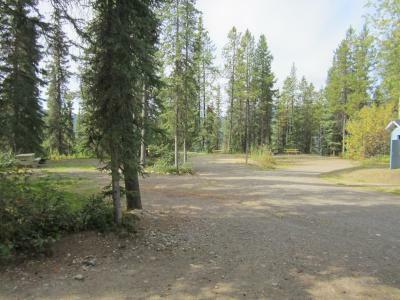 maybe it was because we were the only guests in the campground, but the quietness and surroundings were a perfect bliss. 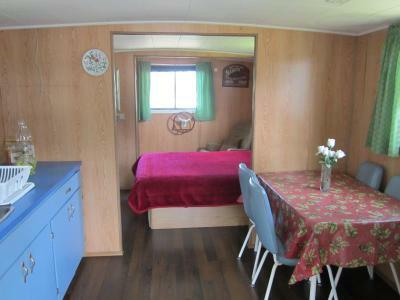 the owner is a gentle and welcoming man, that does his best to make you feel at ease. the cabin was very clean and cozy. we really appreciated the fact that the heating system was on when we arrived, considering that it was very brisky outside. the night lights to guide you to cabin and/or to toilet are very good. the price is fair. off grid cabin on a big lake. owner very generous with his time. everything that i wanted. just perfect. 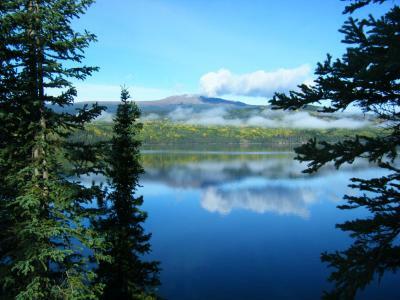 if you are looking for a real back to nature experience then this is the place. i will be back. Although the room was somewhat rustic the bed was very comfortable; pillow top. The room very clean. 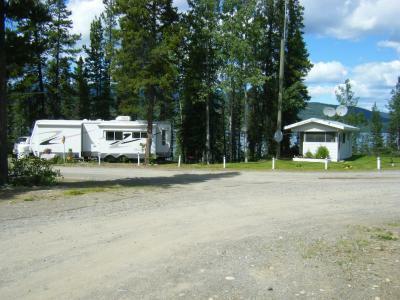 Close to lake and reasonably well separated from the RV's. Chuck and Gracie great to deal with. Good bar-b-que. Clean. Wifi and electricity on from 8 am to 10pm. Lovely area. Nice basic cabin. Great for one night but without shower not any longer. 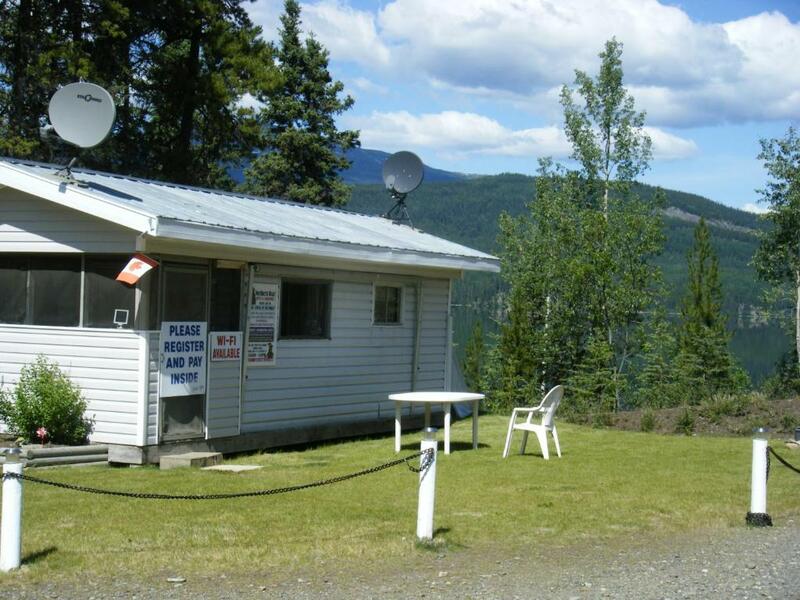 With mountain views, Waters Edge Campground is located in Dease Lake and has free WiFi. 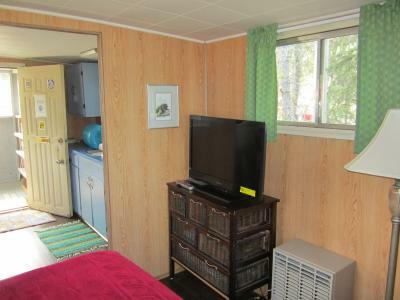 All units feature a satellite flat-screen TV, a shared bathroom and a fully equipped kitchenette. If you would like to discover the area, snorkeling and diving are possible nearby. 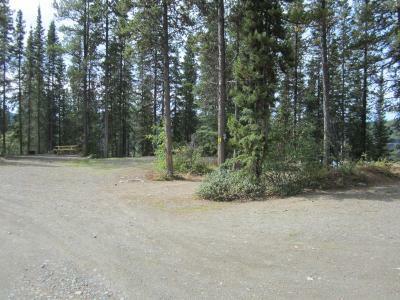 When would you like to stay at Waters Edge Campground? 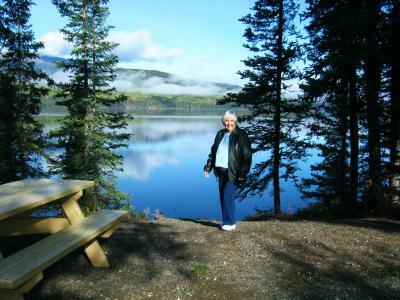 House Rules Waters Edge Campground takes special requests – add in the next step! Debit card Waters Edge Campground accepts these cards and reserves the right to temporarily hold an amount prior to arrival. 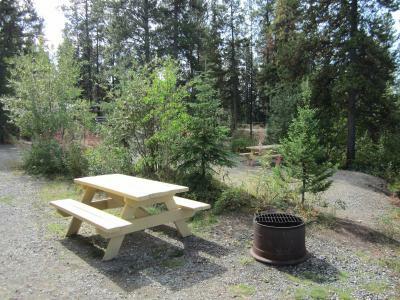 Waters Edge Campground accepts these cards and reserves the right to temporarily hold an amount prior to arrival. 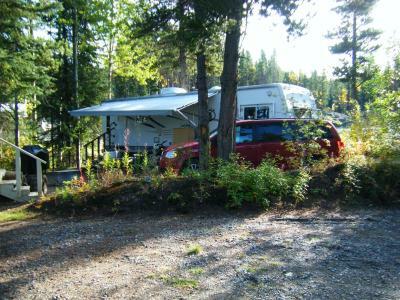 This is an RV and tent park with only 1 queen cabin available. Dry camping is available. Please note, free WiFi is only available in the evening. I stayed in a Queen Bed Cabin which was very nice although there are no bathroom or toilet facilities in the cabin and only an outside toilet on the campsite (no showers). 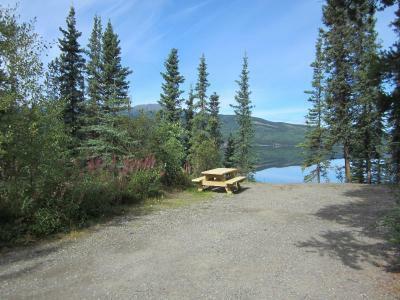 It is such a beautiful position by Dease Lake that makes up for the basic facilities. Chuck the owner is a great friendly guy. For me was OK for a one night stay. Good internet. Pit toilet, no shower, heat off between 10 P.M. and 8 A.M. Bullet holes in the front door. No running water, had to heat water for coffee on the BBQ burner. Unbelievable! Should not be on your website. Everything. The so called shared bathroom was a hole in floor toilet 50 or so feet away. There was no running water to cabin so had to use a bottle of water from a drinks unit. 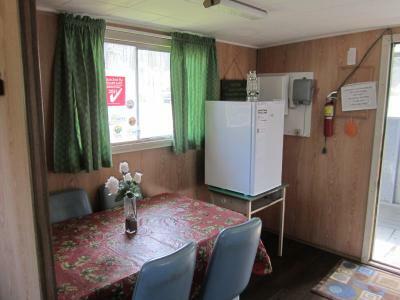 There was one working electric light and the kitchen was a bbq inside the cabin entrance. There were loose wires that may or may not have been live!! I assume not but shouldn’t have been like that. upon booking, the description of the facilities is very poor, and when we arrived we were not aware of some basic and essential information: - the campgound is off the electricity grid, and everything works upon a generator. at 10 pm the owner shuts down the generator; which is a good thing for the noise, of course, but a bad thing for anything else. we adapted to the situation, but knowing this in advance would have been better. 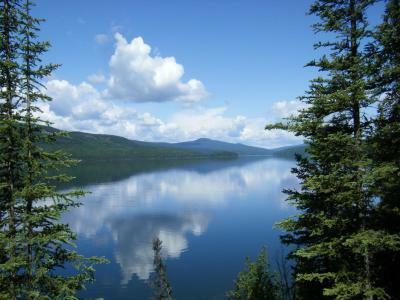 - there is no running water in the campground. this means that the only sanitary facility is a toilet (only 1 for the entire campground) with a septic tank: no tubs, no showers. this could be acceptable, but must be clear in the description of the lodging. - the cabin had had a short circuit recently, and the only light working was a lamp. No power after 22:00 hours, which, however is understandable given the remote location of the property. Beautiful location and very friendly host. Generator went off at 10 so no lights, internet, tv after that unless you used a flashlight. This is not stated in the booking advertising. The cooking had to be done on a barbecue which was inside the front porch. It wasn't the best arrangement. 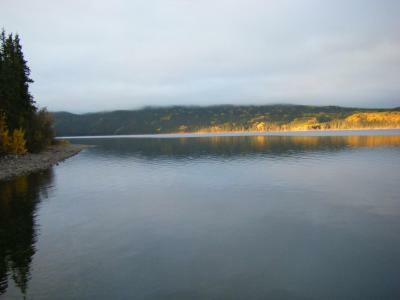 It is also located quite far from town, so we had to drive back to buy groceries for dinner. The bathroom is an outhouse and there weren't any showers to use. At least if there were some showers I wasn't made aware of it. But we were able to warm water and have a bird bath. Gentleman who owned the place very personable. The description of the cabin did not explain that there is no running water - which meant no showers and a pit toilet, that all cooking has to be done on a barbecue and that the power goes off at 10:00 pm. The host was friendly. The lake was beautiful.